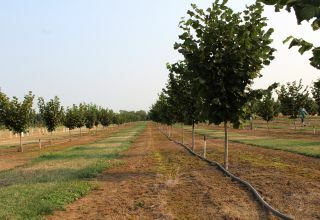 Hazelnut growers looking for information and support for growing organically will have an opportunity to learn from experienced growers during a farm tour on August 15. 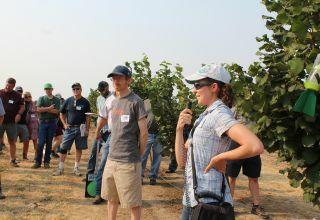 The tour, hosted by Oregon Organic Hazelnuts cooperative, will showcase practices and tips from local farmers with certified organic and transitioning acreage. 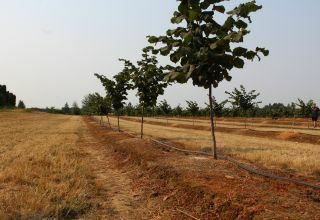 Oregon Organic Hazelnuts (OOH, formerly the Organic Hazelnut Growers Association) is an agricultural cooperative comprised of organic farmers and food producers that formed in 2017. 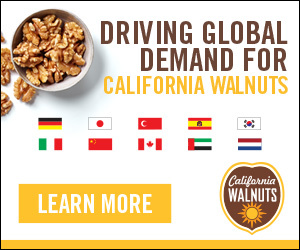 “Our vision is to be the source of best practices in organic hazelnut production, through direct training and online resources. 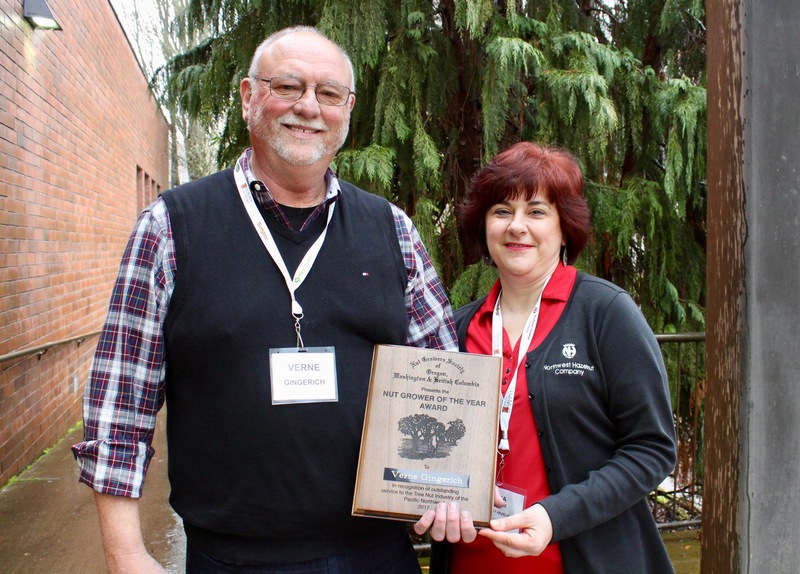 As part of our grower support focus area, this is our second tour that shares methods and lessons learned on effective production of organic hazelnuts in Oregon,” says Linda Perrine, owner of Honor Earth Farm and President of the OOH. 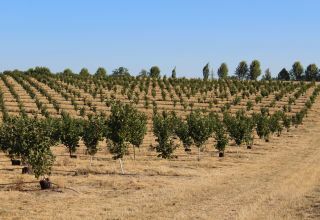 The member farms in this year’s tour include the Lackner Family Farm in Scio, with 27 acres of certified organic and transitioning hazelnut orchards, and Cold Springs Farm in Lebanon, with 40 transitioning acres. 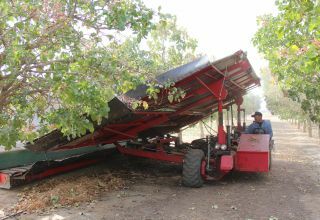 The Lackner family will discuss their methods of cover cropping, filbert worm management, harvest and drift protection. 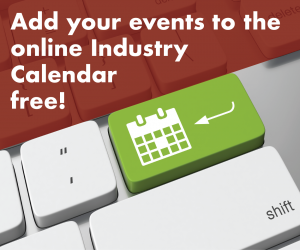 Don Hatai of Cold Springs Farm will discuss lessons learned during transition, and organic considerations for irrigation, cover crops, and pest and fertility management. 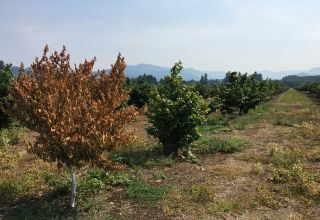 The tour is organized by the Northwest Center for Alternatives to Pesticides (NCAP). 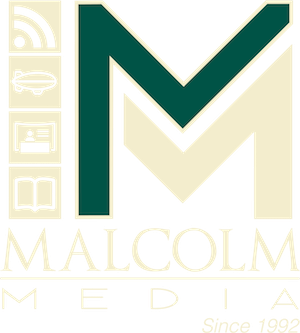 Perrine will discuss the cooperative’s focus areas in marketing/promotion, grower support, and viable long-term processing. 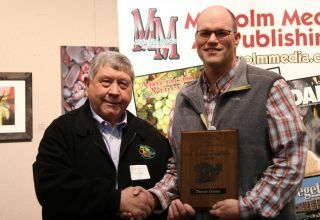 Nik Wiman of Oregon State University (OSU) will discuss recent research finding on organic approaches to filbert worm, cover crops, and fertility. 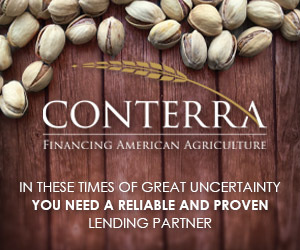 Drew Katz of Oregon Tilth will cover organic rules, the certification process, and transition, and Northwest Farm Credit Services will cover Whole Farm Revenue Insurance and other programs offered by the USDA to protect specialty crops from loss. The tour is funded in partnership by USDA, Risk Management Agency and USDA, Sustainable Agriculture Research and Education program. 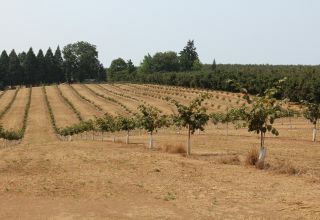 Oregon Organic Hazelnuts is a cooperative creating an equitable and healthy organic hazelnut industry. 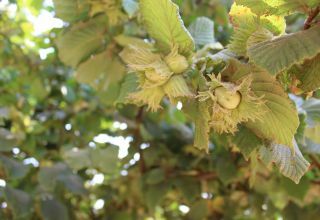 Our focus is to expand organic hazelnut production through marketing, grower education and processing development.